1 - Where is the best spot for VIP dancing? Where is the best spot for VIP dancing? Discover the insider's guide to partying, eating and relaxing in Ibiza courtesy ofSerena Cook, founder of Ibiza-based concierge company Deliciously Sorted The new Hï Ibiza club. The VIP section is designed like a theatre and while sitting at the best tables you feel like you are floating above the dance floor. The best night is Black Coffee for tribal house music, he’s there every Saturday throughout the summer until September 30. 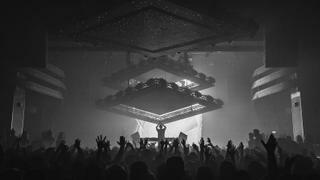 The new Hï Ibiza club. The VIP section is designed like a theatre and while sitting at the best tables you feel like you are floating above the dance floor. The best night is Black Coffee for tribal house music, he’s there every Saturday throughout the summer until September 30. 2 - Where is the most secluded beach? Where is the most secluded beach? Now that would be telling! If you walk between Salinas and Es Cavallet you can find empty little coves even in the height of summer. 3 - Where is the most romantic dinner spot? Where is the most romantic dinner spot? 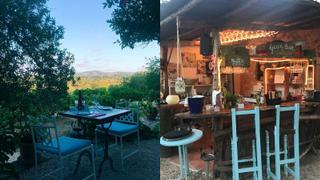 La Paloma in the north of the island is perfect — you sit outside in the pretty garden under twinkling fairy lights. Their speciality is home cooking. Go for delicious pastas and incredible salads from their own organic garden. They also always have a yummy vegan plate. 4 - Where is the perfect place for lunch with a view? Where is the perfect place for lunch with a view? 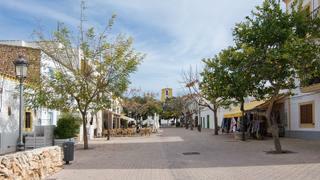 Beautiful Sa Punta on Talamanca, where you can see the bay of Talamanca, Ibiza old town and Formentera. This is a less obvious recommendation than a beach club, which means it’s lovely and calm. I am obsessed by their ceviche and, if I am feeling naughty, their truffle croquettes! 5 - Where can you find the best high-end boutiques? Where can you find the best high-end boutiques? The best boutiques on the island are in and around Santa Gertrudis: Galeria Elefante, Sluiz, LaMuella Boutique and Es Cucons. Most luxury brands haven't got to Ibiza yet, but Mayurka in Ibiza town has the best selection of international designers. Following its collaboration with Paula’s Ibiza, Loewe has opened a pop-up store at the Museum of Contemporary Art in the Dalt Vila district. 6 - What should everyone experience when going to Ibiza? What should everyone experience when going to Ibiza? Chartering a boat and going to Formentera for the day — nothing beats a day on the ocean waves. Swim in amazing caves on an island only accessible by boat. Eat at Beso Beach for amazing paellas. One of their team won Spanish Master Chef, and he is also incredibly handsome! 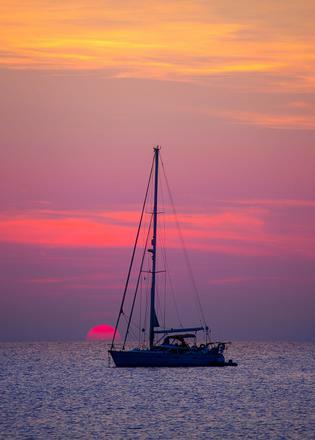 Discover some of the best anchorages in Ibiza while exploring the Balearic Islands. Chartering a boat and going to Formentera for the day — nothing beats a day on the ocean waves. Swim in amazing caves on an island only accessible by boat. Eat at Beso Beach for amazing paellas. One of their team won Spanish Master Chef, and he is also incredibly handsome! 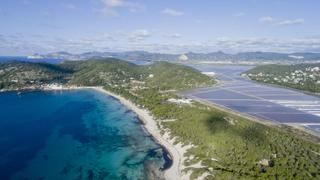 Discover some of the best anchorages in Ibiza while exploring the Balearic Islands. 7 - Where can you find the best cocktails on the island? 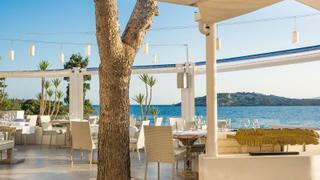 Where can you find the best cocktails on the island? 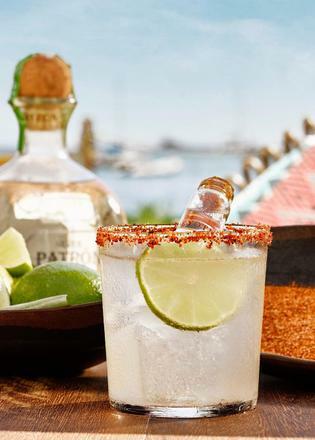 Peyotito, the Mexican restaurant in the new Nobu hotel, serves the best margaritas and delicious Mezcals in the most beautiful spot right on Talamanca Beach. The location means it’s perfectly placed to grab a bite before a night out. Where is the best spot for VIP dancing?